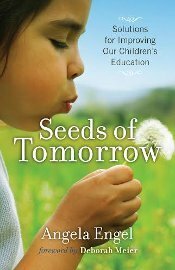 Featured education leader and important book – this one is for Kids too! This book had me captivated from the very beginning! This story needs to be read by parents, teachers, by everyone with a care or concern about public education, but especially by school board members, state legislators, politicians and all who support the practice of high-stakes standardized testing and in doing so are condoning the implementation of rigid curriculum that is harmful to children and disrespectful to teachers. A lot of damage is already done. Schools are now even depriving kindergarten children of all play; an important developmental need that helps grow a healthy brain and would really contribute to improved learning ability in later grades. Instead children receive large doses of teacher directed (and often mind numbing scripted) instruction during which they cannot ask questions or make remarks. I have seen this in practice in several K grades and it broke my heart!! Our public schools should not treat children as if they are invisible, but if we do not collectively oppose such unconscionable practices now, schools may actually become like the one chillingly portrayed in The Education of Sam Sanders where teachers become mere score keepers and learning is mere memorization of facts coming via the state’s computers, instead of generated from student interest and learning outcomes internalized through engaging projects. The following comes from the book. We all need to ask ourselves if this is what we want to subject our kids to when we send them to school! 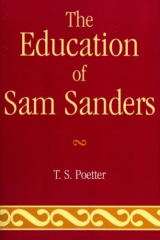 I’d rather have my kid be a Sam Sanders who refuses to take the tests! “All that students had been learning in his class would come out now; the test would show what the students knew. He stared down at his terminal showing how the students were doing on the questions as they progressed through the test. He saw them doing well, miserably, as their right and wrong answers tabulated in a continuous fashion right before his eyes. Education experts and caring parents, Angela Engel and Peggy Robertson will present information at 6:30 and 7:00 with time for questions after each session. The student led event will be very informative. Alex Kacsh will facilitate a conversation afterwards about public education. Please mark your calendars for a celebration to recognize Colorado’s Education Leaders. Friday, November 30th 5:30 pm. Special guest and honoree, Representative Judy Solano. Lisa Alonge Morgan, Conny Jensen, Patrick Anderson, Betsy Angert, Nina Bishop, Toni Tucker, Jane Diamond, Joel Lachance, Yosuke Carter, Peg Robertson, Don Perl, Robert and Nancy Wirsing, and Don Glines.